I'm a hundred pounds overweight. I tripped and landed right on my knee. I thought maybe I had broken something because of the big lump that remained after most of the swelling had gone. Research led me to self-diagnosis of knee bursitis. Clearly the impact damaged the bursa and two weeks after the injury the thickened lump and swelling around my knee remain. I had a bug bite on my knee, and that turned into knee bursitis. My knee swelled and circulation was cut off to my foot. Antibiotics cured it and the whole time yellow pus leaked from my knee. I started walking, just a little, and riding a stationary bike, but because I was so out of shape, I awoke with a pain in my left knee on the inside. It was so painful. I went to the doctor who immediately said I had bursitis and gave me a cortisone shot. He told me to stay off my leg and ice it, which was impossible as I was taking care of my grandkids. I don"t think the cortisone worked at all. I'm going back tomorrow to the doctor for another shot. I cannot be off my feet. I have no fever or infection, just a lot of pain. I just had a patella bursectomy on 10/22/13. I had no pain before, and none after the surgery. It was a nothing, in my view. The problem started in about 1985. I had a painful bursa then but had it drained and learned to care for my knees. I own and use kneepads. I suspect part-time work in the yard, tennis and work as an electrician/locksmith were also major contributors! I"ve had bursitis a couple of times and it is extremely painful. I had none of the symptoms except extreme pain. Sometimes if they don"t hit just the right spot with the cortisone, it doesn"t go away. I"d try that again before anything more extreme (except the ice and NSAIDs). I am a concrete finisher. I have done this for nearly 13 years and spend a large amount of time on my knees while working the concrete. Years of abuse led to my knee bursitis. The swelling has grown to the size of a tennis ball. 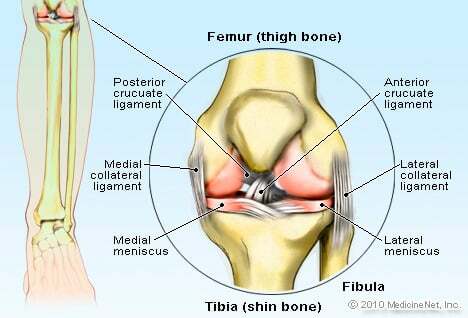 I also had Osgood-Schlatter disease when I was younger. It looks like I have four kneecaps.